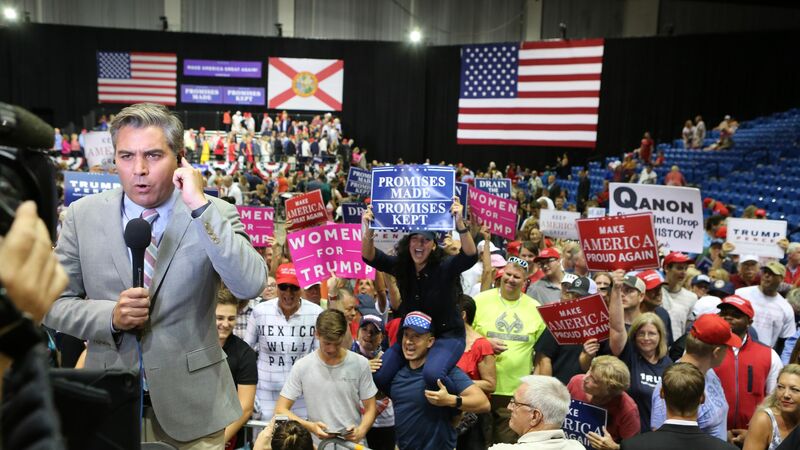 Among the rally-goers at President Trump's Make America Great Again event in Florida on Tuesday were followers of a growing right-wing conspiracy theory — the QAnon crowd. The big picture: A conspiracy theory that started in fringe online chatrooms has leaped to major political events. Whether President Trump does or does not know about the movement isn't of concern to "the anons," as they call themselves, since they often find signs of his support in almost anything. To understand the movement, it's important to understand its language. "Q" is an anonymous internet user who claims to be a top government official. Per The Washington Post, Q is "waging war against the so-called deep state in service" to Trump. "Anons" are supporters of Q, The Daily Beast's Will Sommer reports. Q drops "bread crumbs," deeply vague hints, for "bakers," the users who then rush to decipher them. All of this is leading up to "the storm," which is when the QAnon community believes Trump will purge the government of criminals and deep state operatives. According to Sommer, the main idea behind the movement is that every other president before Trump was corrupt and involved in serious criminal activity. The military then recruited Trump to run for president in order to stop it. 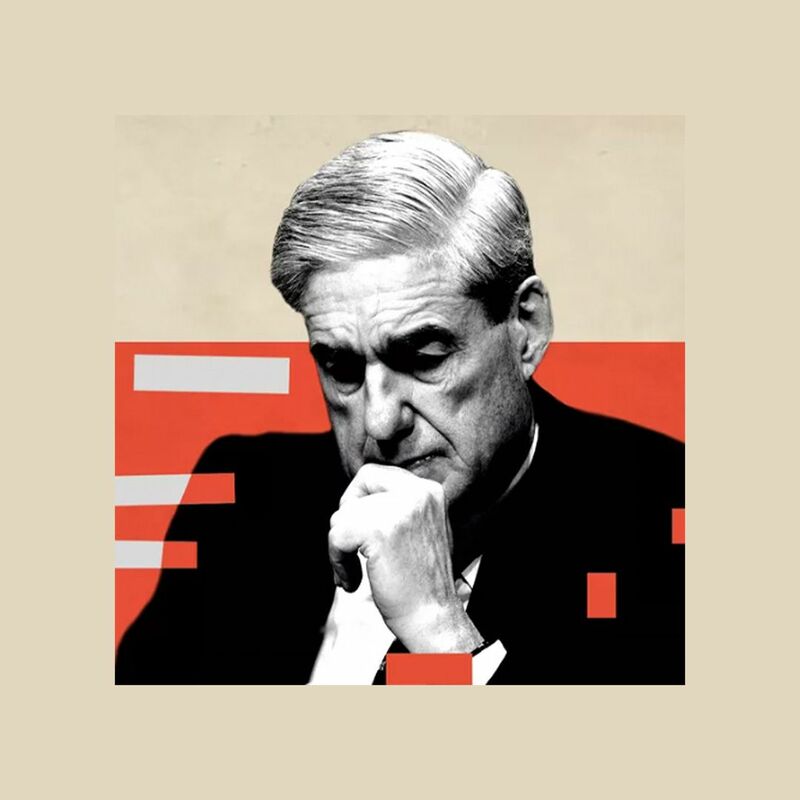 Special counsel Robert Mueller is a "white hat," or hero of the movement, who was hired by Trump to expose Democrats. Those that don't support Trump, including Sen. John McCain and Hillary Clinton aide Huma Abedin, "wear ankle monitors that track their whereabouts." "Trump uses his hands to make a 'Q' sign as a signal to them." A QAnon supporter requested that Trump use the phrase "tip top" during his State of the Union. He didn't, but he did say it during a speech at the White House Easter Egg Roll, which was good enough for the anons. Trump's cryptic comment last year at a dinner with military leaders — "Maybe it's the calm before the storm" — was grabbed onto by the movement (hence, "the storm" mentioned above). While QAnon supporters are certainly just a small minority of Trump supporters, their presence at a relatively mainstream presidential event is indicative of an ongoing erosion of norms at Trump rallies.